This holiday movie tells the tale of a developmentally challenged young man, with a penchant for caring for animals in need, who sets out to convince his family - and their whole rural community - to participate in a local shelter's inaugural "Adopt a Dog for Christmas Program." Todd McCray (Fisher), a responsible and developmentally challenged 20-year-old, lives on a farm in Kansas with his loving parents, George (Greenwood) and Mary Ann (Emond). Both Mary Ann and George are forever inspired and impressed by the upbeat Todd, who assists with numerous chores on the farm and is known for regularly rescuing and nursing wounded wild animals back to health. George often describes Todd as having "his own way of thinking about things." 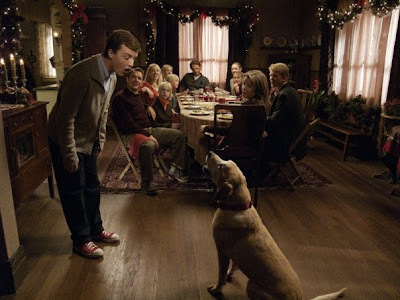 However, Todd's way of thinking ends up clashing with George's when a radio promotion for the local animal shelter's first-ever "Adopt a Dog for Christmas Program" - which entails caring for a dog during Christmas week, with the option of keeping the dog for good - creates a keen desire in Todd to adopt a lonely pup for the holiday. 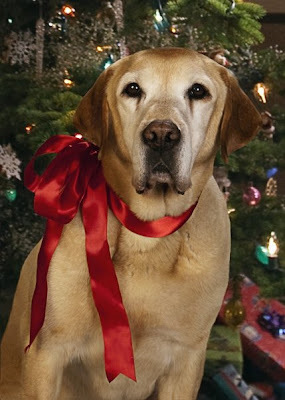 Though George stubbornly opposes the idea, Todd's special gifts of persuasion result in their bringing home a yellow Labrador, whom Todd names "Christmas" and bonds with immediately. Todd soon makes it his mission to ensure that all of the shelter's numerous caged dogs are brought into friendly homes for the holiday, and he uses creative and persistent means of inspiring the families in his community to do their part. This movie was sweet and heartwarming. The story centered around a young developmentally challenged man, Todd, (20 years old) who desperately wants a dog, and his father, who desperately doesn't want anything to with dogs and the sad memories they bring him from his past. The best scene to me - was when all of the family came together to celebrate an early Christmas. I kept hoping there would be more scenes with the entire family - they were all so sweet together - the two brothers... teasing one another, the two sisters... chatting away, and the grandchildren, of course, were so adorable! The story stays focused on Todd and his relationship with the dog he takes in for Christmas, ironically also named Christmas, by the boy.... and his desire to get more dogs adopted before Christmas. The father, though tormented by his past memories (during childhood and the Vietnam War) with dogs, overcomes his feelings, and eventually comes around and lets his son keep the dog. It seems the Mother had no say in the matter here, though she desperately wants to keep the dog, too. That didn't seem fair to me. Fortunately, everything worked out, and after all, there was a Happy Hallmark ending! If you are a dog lover, then you should see this movie. 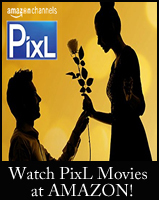 This Movie is available on DVD, Click Here to Order. ABC Family's "Countdown to 25 Days of Christmas" Programming has been added to the Christmas TV Schedule. The Christmas programming begins officially on November 10th! While ABC Family Channel’s annual 25 Days of Christmas programming doesn’t start until Tuesday, December 1, like previous years they will still have the “Countdown to 25 Days of Christmas” that starts November 10 at 7 PM with the Holiday Movie Snow followed by the sequel Snow 2 Brain Freeze. Other holiday movies or specials airing are Santa Jr., Snowglobe, Eloise at Christmastime, A Dennis the Menace Christmas, Richie Rich’s Christmas Wish, Gotta Catch Santa Claus, Christmas Caper, A Carol Christmas, Santa Who?, I Saw Mommy Kissing Santa Claus, A Chance of Snow, Stealing Christmas, The Christmas Box, The Christmas Secret, The Christmas Wish, Once Upon a Christmas, Twice Upon a Christmas, Christmas in Boston, Christmas Do-Over, Chasing Christmas, Santa Baby, Holiday in Handcuffs, A Holiday to Remember, Unlikely Angel, Holly and Hal Moose: Our Uplifting Christmas Adventure, Sons of Mistletoe, The Christmas List, Miracle on 34th Street, Home Alone 4, Naughty or Nice, and the ABC Family original movie premiere of The Dog Who Saved Christmas starring Mario Lopez, Dean Cain, and Adrienne Barbeau. Wow and this is just the Countdown! Stay Tuned for the actual 25 Days of Christmas Schedule! Yeah! I am so excited to hear about the ABC Family Countdown to Christmas Programming starting on November 10th! Wow, that is so early this Year! I think they know everyone looks forward to their Christmas Programming and they must get good ratings during it - to include it in their November Sweeps Period. The Christmas Movies I look forward to seeing the most are: Eloise at Christmastime, Gotta Catch Santa Claus, Christmas Caper, I Saw Mommy Kissing Santa Claus, A Chance of Snow, Stealing Christmas, The Christmas Box, The Christmas Secret, Santa Baby, A Holiday to Remember, Holly and Hal Moose: Our Uplifting Christmas Adventure, Sons of Mistletoe, The Christmas List, Miracle on 34th Street, and the ABC Family original movie premiere of The Dog Who Saved Christmas. Hopefully, there is something you look forward to seeing, too, during this Christmas Season! Knoxville, Tenn. [For Immediate Release--October 21, 2009] Acclaimed home and food expert Sandra Lee, host of Food Network's Emmy-nominated Semi-Homemade Cooking with Sandra Lee and the new hit series, Sandra's Money Saving Meals, will cook up four one-hour primetime specials for HGTV this holiday season. In each of the Sandra Lee Celebrates specials, airing on consecutive Saturdays beginning Saturday, November 28, at 8 p.m. ET/PT, Sandra will work with deserving families to make their holidays memorable. From planning a spectacular family reunion party for a recently-returned Peace Corps volunteer to a family's sweet celebration for special children, Sandra will offer viewers dazzling seasonal recipe and dcor ideas to create heartwarming holiday celebrations. 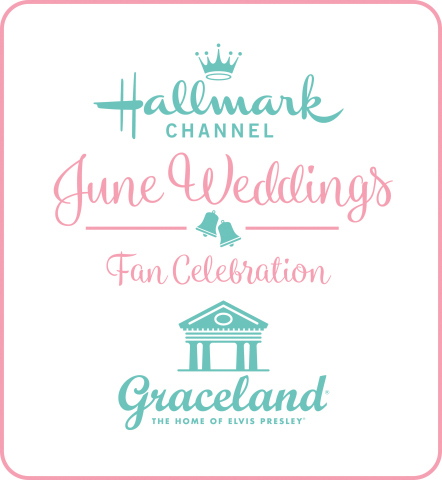 "Whether celebrating a holiday or the cherished company of family and friends, Sandra's practical approach to cooking and party planning will empower our viewers during this busy time of year," said Freddy James, senior vice president, program development & production, HGTV. "Our audience will appreciate the abundance of savvy holiday entertaining ideas and the inspirational stories about bringing families together through food and celebration." Christina Sobiloff, a Peace Corps Volunteer stationed in Burkina Faso, Africa, will return home to Creskill, N.J., for the holidays--and her family and friends want to welcome her with a fantastic holiday homecoming party. Sandra will work with the Sobiloff family to create a beautiful celebration that honors Christina's service and embraces the familiar meals and Christmas dcor she has missed while overseas. Sandra also will show the Sobiloff family how to take their favorite family photographs and keepsakes and turn them into memorable tablescapes, ornaments and gifts. Following their 18-year-old daughter Kelsea through her recovery from cancer at age 13, the Henderson family now spends their holiday time brightening the lives of those still in need. Not only will Sandra teach the Hendersons how to create the perfect food, decorations and tree trimmings for their own family, she also will arm them with useful tips on how to use their favorite holiday items to craft a moving 'pay it forward' tribute to the hospital where Kelsea spent so much time. Last year, the Morgner family's newborn triplets were barely well enough to be brought home for the holidays. This season, as the family gets ready for the holidays with three active one-year-olds, Sandra will show them creative ways to preserve lifelong family memories, incorporate heirloom party dcor and prepare unforgettable holiday recipes. HGTV Design Star finalist Dan Vickery makes a special guest appearance and uses his carpentry skills to help Sandra create unique dcor items for each child. Vy Higginsen not only is the leader of an organization that provides musical training to underprivileged youth, but she also is known as the first lady of Harlem. Vy, still living with her family in the brownstone her grandmother bought almost 100 years ago, will work with Sandra to throw an over-the-top holiday party for her neighborhood. With a classic holiday menu that will feed a large crowd - along with festive, budget-friendly dcor ideas - viewers will see Sandra transform the family's traditional New York dwelling into the ultimate winter wonderland party. "Sandra Lee Celebrates is a return to all the things I love and that my company stands for," said Sandra Lee. "Combining creative design elements and delicious food to create spectacular memorable celebrations for family and friends that go beyond the scope of what people think they can afford or do." Acclaimed home and food expert Sandra Lee has revolutionized the term "homemade" as a popular Food Network host, editor-in-chief of Sandra Lee Semi-Homemade magazine, and best-selling author. Sandra's trademark 70/30 Semi-Homemade philosophy translated to television with Food Network's Semi-Homemade Cooking with Sandra Lee and to the Internet with SemiHomemade.com. Sandra attended University of Wisconsin - La Crosse as well as Le Cordon Bleu; launched several lines of home, garden, and craft products including Kurtain Kraft; worked with QVC; and produced a successful DIY home improvement series. With a commitment to service and charity, Sandra participates in numerous philanthropic organizations including Share Our Strength, UNICEF, Project Angel Food, and God's Love We Deliver. Since 2002, Sandra has written 19 cooking and entertaining books." 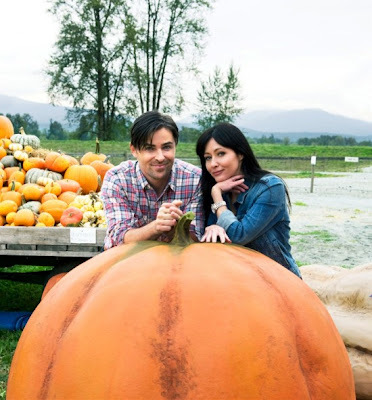 HGTV, America's leader in home and lifestyle programming, is distributed to more than 97 million U.S. households and is one of cable's top-rated networks. HGTV's website, HGTV.com, is the nation's leading online home-and-garden destination, which attracts an average of 5 million unique visitors per month. Noah McManus (Metcalfe) has it all: He’s about to start his dream job as a legislative director for a U.S. Senator, and he’s about to propose to his devoted girlfriend. But in one day, Noah’s entire world changes when his new boss resigns surrounded by controversy and he realizes that he and his girlfriend are not meant to be together, when he discovers she's been cheating on him. Devastated and now alone, except for the company of his dog, Arlo, Noah drives to the Cape Cod town where he had intended to propose. There he finds comfort among the town’s peaceful setting and appealing local residents. He also finds himself falling for the bookstore owner and becoming involved in the town’s heated local election. It’s all alluring to Noah. He’s finally found a meaningful purpose for his life and someone to share it with. But what will happen when he gets another high-level job offer and his remorseful ex-girlfriend returns, luring him back to his familiar lifestyle? The premise for this story was interesting... guy has everything - then, guy loses everything. However, the story from there seemed too easy and predictable. 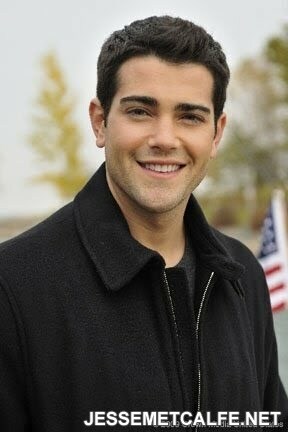 First of all, there is this 30 year old guy, Noah McManus (played by Jesse Metcalfe)- and in one day he gets a job with a popular Senator and that night he proposes to his girlfriend, who has been manipulating him into doing so. By the next day, though, everything has changed, Noah discovers his live-in girlfriend/fiance is having an affair - so the engagement is off and the new job he was about to take with a Senator will not take place, due to scandal. Noah then rushes off to a Cape Cod Island, where he and his girlfriend were to spend the weekend together and he must go there because he has shipped her engagement ring there and he has to retrieve it. After losing his job, he needs the money. Soon after coming to the town, Noah becomes involved in their small town politics. I just loved all the people in this small town - they all seemed so sweet and loyal to their country and community. 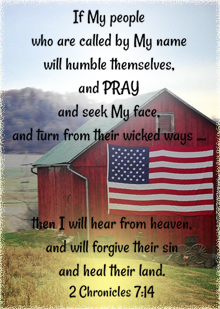 One man, Sam, the owner of the local B&B, would go out everyday and proudly place the American flag on it's pole. Just a day or two after his engagement is over, Noah tells Sam and his wife, that he has met someone. He is instantly attracted to Hailey, a local book shop owner, and there is a sweet chemistry between the two - but it just seems too soon after his engagement was only broken hours before. 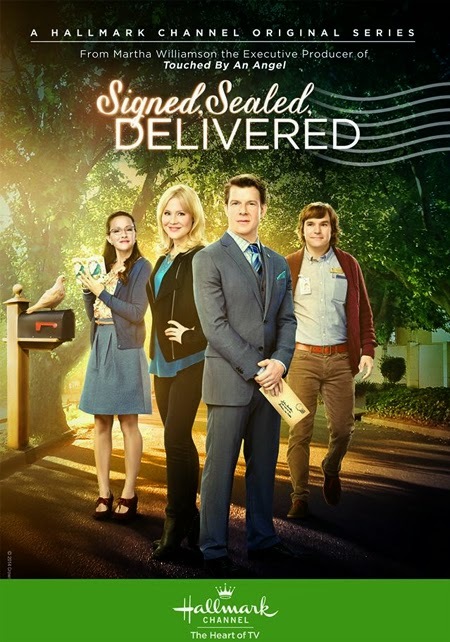 It takes a while, but eventually Noah becomes more and more involved in their small town politics... and many of the townspeople decide they want Noah to run for Town Manager. In the end, we never learn who wins, I guess it is just presumed that Noah will win. And it ends, with Noah and Hailey kissing by the sea. I must suggest skipping this one. 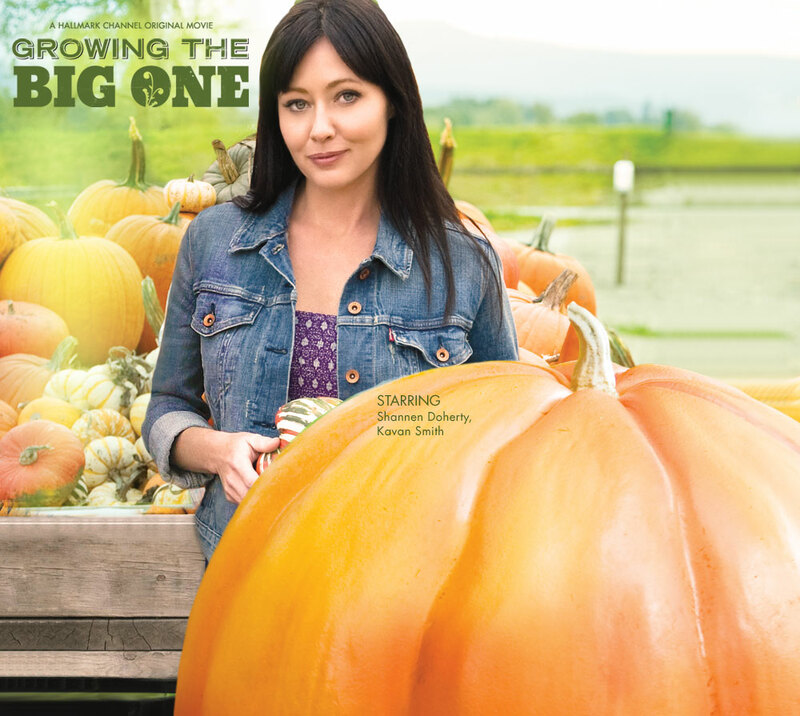 Shannen Doherty ("Beverly Hills, 90210") stars in "Growing the Big One," a Hallmark Channel Original Movie about a young woman who inherits her family farm which is deeply in debt and decides to enter a pumpkin-growing contest in hopes of saving it with the winnings. In the process, she falls in love with both her new partner in the pumpkin contest and the simple life of her grandfather's small town. Emma Silver (Doherty), a big city girl and radio talk show host, returns home when her grandfather passes away. She soon finds out that her grandfather's farm is saddled with debt because he couldn't bear to sell it and see it turned into a parking lot or a highway. He also leaves Emma with a handful of his prize-winning pumpkin seeds and a note that says he's counting on her to take care of things that he couldn't. Emma's new boss sees it as an opportunity for a gardening radio/webcam show, even though Emma knows nothing about the topic. Her grandfather's handsome neighbor is willing to help out but he wants to share half the prize money. Reluctantly, Emma agrees to her new partner's terms and soon realizes she's signed on for more than she bargained for. It's the Great Pumpkin Charlie Brown will air Twice this year!!! It will air first in a 1 hour time slot on Tuesday, October 27, 2009 at 8 PM est on ABC. The first 30 minutes will be It's the Great Pumpkin Charlie Brown and in the remaining 30 minutes they will show - You're Not Elected Charlie Brown. I absolutely adore Charlie Brown, Sally, Linus, Snoopy, and even Lucy! 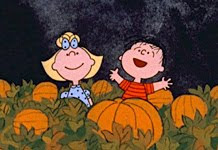 My favorite part is the adorable Sally, waiting in the Pumpkin Patch for the Great Pumpkin with her Sweet Baboo... Linus! I even love it when she gets upset at him when the Great Pumpkin never shows. It's just so sweet and cute. I don't watch Halloween programming... but I love Charlie Brown and never miss this sweet and simple innocent story. The second time It's the Great Pumpkin Charlie Brown airs, is the following night, Wednesday, October 28, 2009 at 8 PM est on ABC. This is in the sitcom - Hank's, original time slot. On this night it will only air for a half hour ... leading into the very funny sitcom, The Middle, starring Patricia Heaton. Click on the Christmas TV Schedule above for more airing dates and times! The half-hour holiday special reveals the never-before-told tale of an elite unit of Elves known as Prep & Landing. Every Christmas Eve this high-tech organization ensures that homes around the world are properly prepared for the yearly visit from The Big Guy, their code name for Santa Claus. After working tirelessly on Prep & Landing for 227 years, an elf named Wayne is upset when he doesn't receive an expected promotion to be the Director of Naughty List Intelligence. Instead, Magee, the North Pole Christmas Eve Command Center Coordinator (NPCECCC for short), partners Wayne with Lanny, an idealistic rookie who has an undying enthusiasm for Christmas. During their Christmas Eve mission, Wayne and Lanny encounter unexpected challenges that push them to their limits. Will the elves be able to guide Dasher, Dancer and the rest of the reindeer pulling Santa's sleigh through a raging snowstorm to ensure a Merry Christmas for all? It's been quite a while since a new Christmas Cartoon has been this cute and fun. Our family loved this Christmas Animation. Lanny and Wayne, are two of Santa's Elves, who prep and check out each home before Santa lands - by making sure children are asleep and everything is order before Santa makes his delivery. It's suspenseful and exciting... a cartoon that the entire family can enjoy together. Along the way, Lanny and Wayne make some mistakes, but in the end, they save Christmas! See and Enjoy this one with your family! An ABC Family and Build-A-Bear Workshop® 1 hour Movie Animation. ABC Family and Build-A-Bear Workshop® are coming together to create a little holiday "hoofla" this season as the network debuts an animated special that marks the first time in the retailer's 12-year history that its plush animals are brought to life on television. The television special, Holly and Hal Moose™: Our Uplifting Christmas Adventure, a one-hour feature movie, is based on a book and series of webisodes that introduced Holly and Hal Moose last year and captured their holiday antics, powerful imaginations and love of adventure. 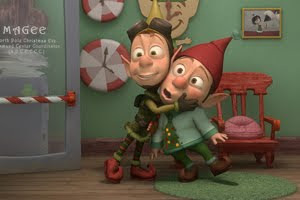 "Holly and Hal" features Meaghan Martin ("10 Things I Hate About You," "Camp Rock") and Jonathan Morgan Heit ("Bedtime Stories") as the voices of Easton and Weston (respectively), two high-strung elves who monitor the North Pole Weather Center. In addition, an exclusive theme song, "When You Dream," was created for the movie by Tena Clark, award-winning music producer, song writer and CEO/chief creative officer of DMI Music & Media Solutions. "Holly and Hal were our first characters to inspire a storybook, and now they're the first to become movie stars," said Maxine Clark, founder and chief executive bear of Build-A-Bear Workshop. "The tale of this antlered-sibling duo is meant to inspire people to follow their dreams -- no matter how big they seem. It's a classic holiday adventure that offers families the opportunity to start a new tradition of watching it together each season." I so enjoy the entire Christmas Season! The nip in the air, snow falling, families huddling together at the Christmas Tree lot, and Carolers singing lovely Christmas Carols, such as: "Silent Night, Holy Night..."! It's such a beautiful time of the year and I love it! We are already busy putting up some lights outside... it's so much better to do it now, then when it is frigidly cold. My neighbors always seem to wait until that Freezing day - when it's like 10 Below! I'm just kidding... but it always seems to be the coldest day and they seem to put it on in the speed of Snoopy! But not us... we take our time and hang each strand with care. I'm amazed at how many Christmas Shows are already airing on TV. It's so wonderful! I guess we are not the only ones getting into the Holiday Spirit! Be sure to stop by the Christmas TV Schedule to see when any upcoming Christmas Movie is airing. The Fox network says Carrie Underwood will host a two-hour variety special tentatively titled, "Carrie Underwood: An All-Star Holiday Special," to air Dec. 7. The network says Underwood will perform new music from her upcoming album, previous hits and holiday classics. Musical guests will include Dolly Parton, Brad Paisley and David Cook. Underwood won season four of "American Idol." The 26-year-old country singer is a four-time Grammy winner. Her new album will be released Nov. 3. The first CD listed above is Carrie's newest album - being released Nov. 3. The second CD includes a bonus CD of Christmas songs that are all so wonderful. I personally own this one and highly recommend it - as I enjoy it very much! I just adore the Christmas Movie, Prancer... and it just so happens that it is airing tonight (October 9) at 8 PM and tomorrow morning (October 10) at 11 AM on the Gospel Music Channel. You can view the complete Christmas Schedule, here. Prancer is such a heart warming Christmas story. I just adore the children in this... they are all such good little actors and actresses. This is what the dvd cover says: Jessica Riggs (Rebecca Harrell) plays an angel in her school pageant... but she becomes a real guardian angel when she finds an injured reindeer in the forest. Convinced that the deer is Santa's very own Prancer, Jessica vows to nurse him back to health and return him safely home. But before she can carry out her plan, Jessica discovers that her father (Sam Elliott) has made another - very different - plan of his own! Will Jessica be able to help her antlered friend find his way back to Santa in time to make their deliveries on Christmas Eve? The magical final scene is sure to make your heart soar! I hope many of you will catch this beautiful Christmas Story! Click here for the complete Christmas Schedule. 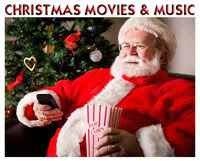 Click Here to see more Christmas Movies / Specials on DVD! I cannot imagine the Christmas Season without our favorite Christmas Cartoons... such as: A Charlie Brown Christmas, Twas the Night before Christmas, Rudolph the Red-Nosed Reindeer, and so much more! What a joy they continue to bring to the Season! Click Here for more 2009 Christmas Movies and Cartoons! Click Here for Classic Christmas Cartoons on DVD! I just added new pictures to 4 of Hallmark Channel's New Christmas Movies for 2009. Click on the Movie Titles for More Information. Click Here to see all the new 2009 Christmas Movies. 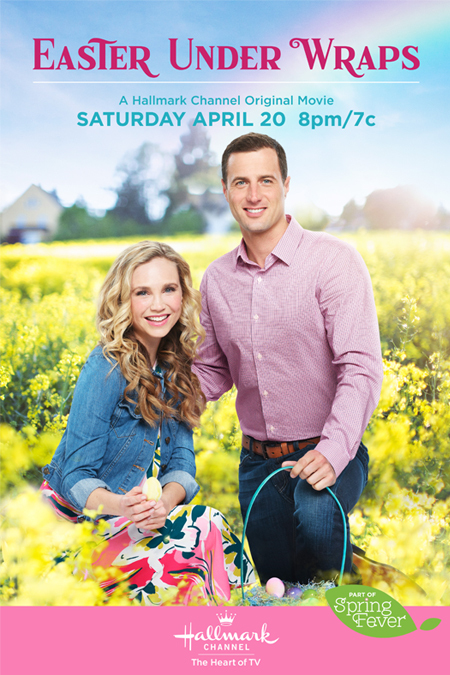 New Pictures were added for the New Hallmark Channel Movie- Always and Forever . The movie will premiere on the Hallmark Channel on October 24. Check the TV Schedule for more dates and times! In this sequel to "The Prince & Me: The Royal Wedding," newlyweds Queen Paige (Kam Heskin) and King Edvard (Chris Geere) try to escape the spotlight by honeymooning in Belavia amidst ancient castles and glittering snowcapped mountains but instead end up uncovering a plot against the Danish monarchy. Just as the royal couple are set to board their private plane to paradise, Prince Edvard, aka Eddie, comes up with a new game plan and diverts their destination to Belavia, a snowy underdeveloped country under the protection of the Denmark monarchy. When the two arrive ready to begin their honeymoon, their goal of romance and relaxation is crushed when the couple run into Paige's high school sweetheart, Scott (Adam Croasdell), at their inn, causing Eddie to instantly get jealous. To make matters worse, they meet Oliver Laertes (Joshua Rubin), who is in Belavia to oversee the building of an oil pipeline for the Danish Prime Minister the construction of which Eddie never approved. Eddie quickly discovers that Prime Minister Pollonius (Todd Jensen) went behind his back to set it up and is attempting to take power from the throne. Before Eddie and Paige know it, the royal couple's relaxing holiday honeymoon turns into a wild race to get the Danish parliament to come to the couple's aid. This is a Christmas Holiday Honeymoon. The couple leaves for their Honeymoon and trouble follows. It's kind of a cheesy film, however, it does not have much objectionable content. One man does try to pretend that he is having an affair with the Princess, but of course this is not true. I personally prefer The Princess Diaries movies, better, but those who thouroughly enjoy those, may like this, as well. See, if you like Prince & Princess Movies.